Whether on-site or hosted, today's project-management software can help you get a handle on day-to-day administration. Good project managers are in high demand these days. With such a high failure rate for IT projects and an even higher rate of projects that don't achieve all of their goals, IT projects of all types need professional management. This goes well beyond individual projects. Directors and CIOs responsible for multiple projects need accurate and current information to decide on projects' ROI, the relative health and progress of different projects and to plan for future projects. They may have to shift resources among projects and determine if projects are still relevant to line-of-business operations. Project management used to be easy. Once you got a project approved, you got some people to work with you and scheduled their time. You probably used a Gantt chart to follow the progress. If you took a more professional approach, you broke the project down into discrete parts using a Work Breakdown Structure or some other ad hoc method. You'd schedule your resources for each component and track by components and milestones. 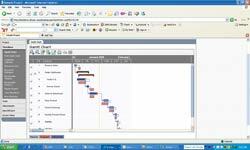 A big part of project tracking is using flexible project-management software. This type of software lets you track single projects at a detailed level, including effort, costs, timeline, schedule and critical path. Managers and executives can also have oversight of multiple projects going on simultaneously. 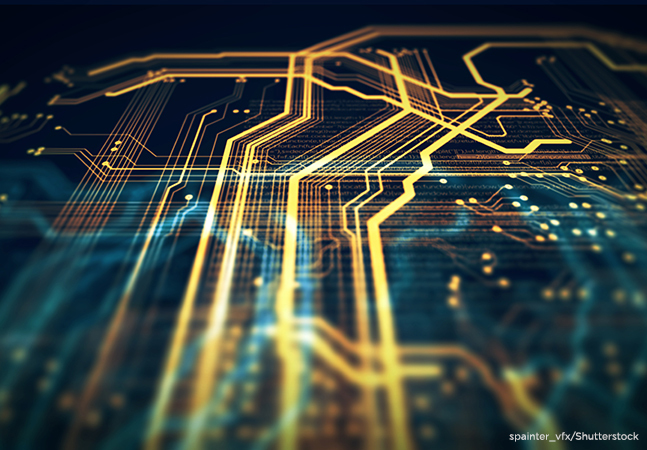 Software eases the tedium and complexity of tracking project details, while also providing for contingency planning and information sharing. Many have used Microsoft Project, which has become the standard for relatively straightforward project efforts. Most outgrow Project after having managed several projects, however, and seek an alternative with additional power and flexibility. As with a growing number of application areas, Software as a Service has become a disruptive force in project management. There are services that help you match the number of seats and feature sets that make sense for one project or many. 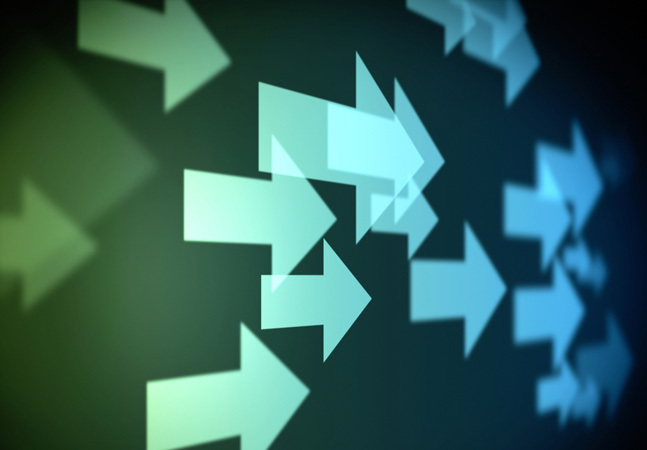 Using project-management software as a hosted service is not without its obstacles, though. Perhaps the most important consideration is data privacy. Often, projects include highly proprietary and competitive data. 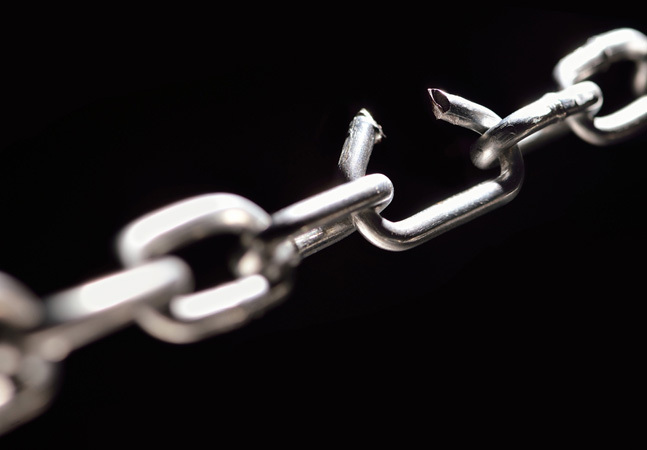 Hosted service providers have to make ironclad assurances that data is segregated and protected. The following packages -- FastTrack Schedule, @task and Project Insight -- provide either installed or hosted solutions, or a combination of the two. All are useful for managing single or multiple projects, as well as helping executives with project oversight. AEC Software's FastTrack Schedule is a simple and powerful tool for managing individual projects or aggregating information from multiple projects. It operates across platforms (Windows XP, Windows Vista and Mac), and excels at presenting project progress and status details. It's also an easy step up for managers with limited experience using project-management software. FastTrack Schedule installs easily on the desktop. There's no server component. It assumes one project manager per project. If there are multiple users, it further assumes they're working on different parts of an individual project. If you already have Microsoft Project files, it can import them and let you view them in a FastTrack project. Figure 1. 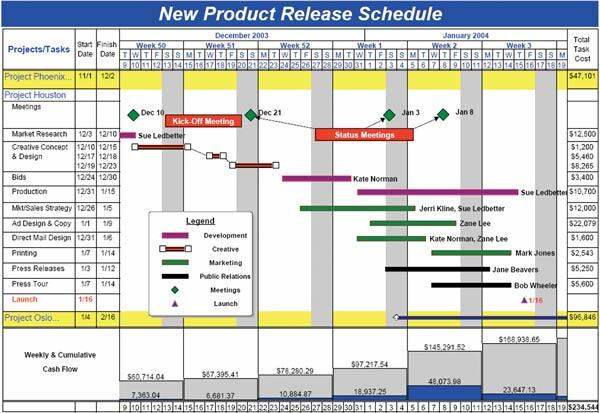 FastTrack Schedule provides a graphical schedule that's easily readable and gives project status at a glance. If you've used Microsoft Project, you'll easily pick up FastTrack Schedule. It lets you enter tasks sequentially in outline form, much as you would with Project. Once you enter the tasks, you can include duration information in time units or as start and finish dates. You can also include resources assigned to those tasks. 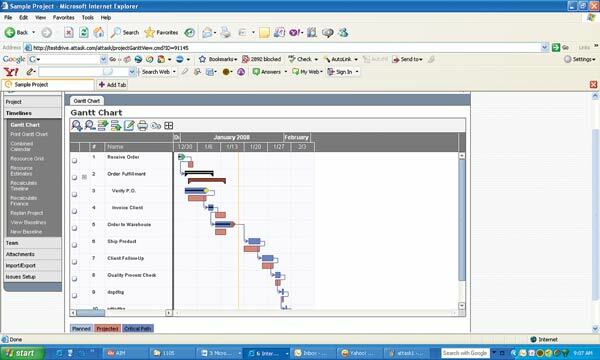 The default display is similar to that of Microsoft Project-a timeline with each task, duration and resources used. If a critical task takes longer than anticipated, FastTrack Schedule will automatically adjust the rest of the schedule with new completion dates. It also displays the adjusted schedule against the original schedule, so you can immediately see the impact on subsequent tasks. Should you make up for the lost time, the schedule reverts to the original. The slip stays in the timeline for post mortem analysis. FastTrack Schedule has a unique method of rolling information from pieces of an individual project into a master project file. 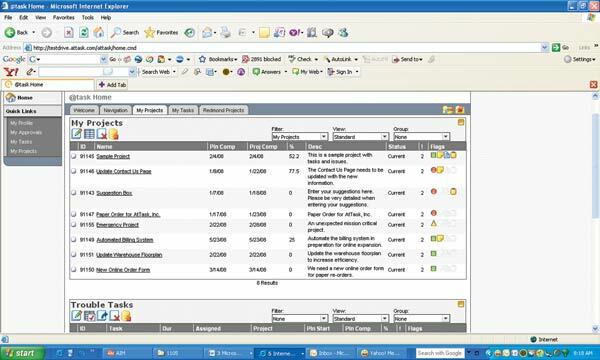 It also rolls individual project information into a multiple project view. You can open multiple FastTrack Schedule files in a single project file, displaying all of the tasks, resources and timelines together. It's a bit clunky, but it accomplishes its intended purpose. The end result is a seamless integration of multiple projects into a single view and on a single timeline. The software displays resources across projects, so it's readily apparent when a single resource is overcommitted. This approach is a great way to view different pieces of the same project as a single entity. FastTrack Schedule gives you a set of graphical views of a project you can easily print or integrate into reports and other documents. You can create and use symbols and other images to emphasize particular tasks or milestones, or display schematics or other project outcomes. 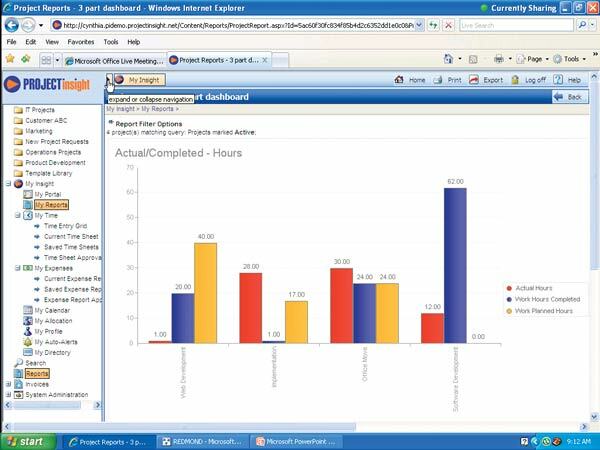 You can also get comprehensive graphical reports of project status, costs and other metrics. FastTrack Schedule gives you good, basic project-management features if you're trading up from Microsoft Project or manual tracking methods. Its rudimentary ability to aggregate multiple projects into a single view helps IT executives with a comprehensive view of the entire project portfolio. While lacking in some of the more sophisticated project-management features available in higher-end packages, its combination of price and utility make it an excellent choice for organizations with less-experienced project managers. @task is a comprehensive, Web-based project- and portfolio-management package. It's available as a locally installed server-based product or a hosted service (in fact, @task does its own hosting). 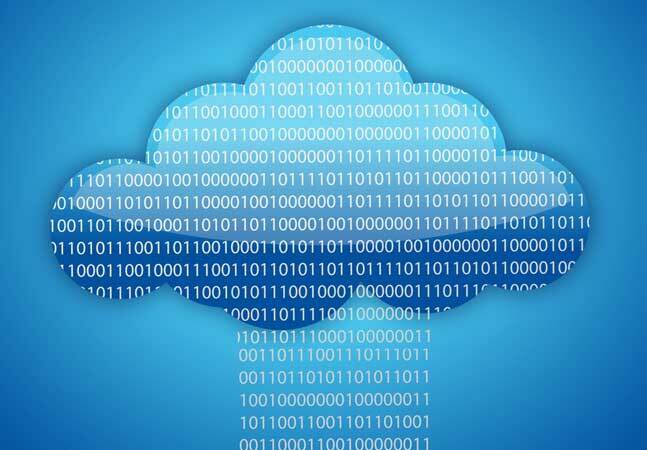 I used the hosted service, as do 84 percent of its customers, according to the company. Figure 2. 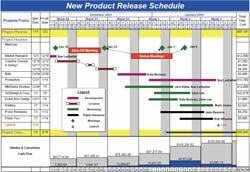 @Task's Gantt chart provides a good look at a project's schedule and status. @task opens with a dashboard showing summaries of all the available projects. While it doesn't incorporate the concept of roles beyond that of an administrator, you can edit individual user profiles to hide projects that don't concern them. You can also use this to award or deny other required privileges. Selecting a project opens up the details of that project. You can see tasks to be done and to whom they're assigned, as well as details like start date and duration. You can display these tasks in a Gantt chart format or a tabular listing. You can also examine the resources allocated and in use on the project. @task lets you do more than plan and execute a project. Each project worker has their own workspace, listing the projects on which they're working, the tasks for which they have responsibility and any issues arising during the course of a project. This helps project managers track tasks, as well as issues like budgetary concerns, resource limitations and other items that may affect project schedules. For example, if your lead admin breaks his leg and is out of the office for two weeks in the middle of a migration, you can note that as an issue, alert all project participants and plan accordingly. Using resources and issues at an individual level also lets @task act as a project hour aggregator. Each contributor can enter the actual hours allocated to their tasks. These entries are rolled into a summary view on both the number of hours you have invested in a project and who is contributing those hours. You could use this for tracking project costs, schedules and for billing purposes. It's also enormously helpful in maintaining a database of project costs for future-project planning purposes. Figure 3. The @task dashboard shows a listing of all projects, along with a description, dates and any flags. The performance was quite good. AtTask does their own hosting, and the company clearly knows how to tune its software and network for best response. It uses AJAX and dynamic HTML to improve performance entering and displaying data when a page refresh isn't necessary. It also uses Adobe Flash in a Java environment. The installed product comes with the JBoss app server. @task excels at giving you an overarching view of multiple projects and letting you dynamically balance resources across those projects. The dashboard gives summary information of every project for which your users have privileges. By drilling into a resource view, you can see at a glance what resources are overcommitted. By moving individual projects along a timeline, executives can re-align the project portfolio in response to the individual project's needs and priorities. Despite its unusual name, @task offers many enterprise-quality project-management features, and many other tools beyond the scope of traditional project management. To use it to its full potential, you'll need a license for all project participants. Still, given the ability to aggregate all of this data in one place, it will be well worth it for many organizations. 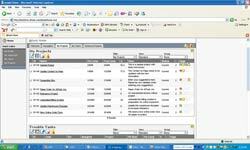 Project Insight is another Web-based project-management package you can use as either an installed server-based product or as a hosted service. I used it as a hosted service, as do the majority of its customers. 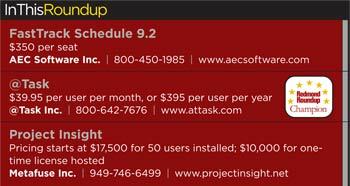 Whether installed or hosted, Project Insight is Microsoft-based, running as an ASP.NET app. The software has AJAX features that improve usability, especially in response to common activities like entering task and duration data. Even without AJAX, the hosted Project Insight can be exceptionally quick for a Web application. Figure 4. 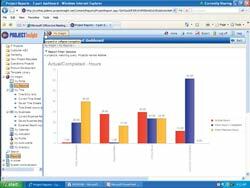 Using Project Insight, you can drill down and analyze specific aspects of your project, such as the use of project hours. Each project has its own URL and a log-in for each authorized user. When you first log in, it lets you play Quicktime tutorials on getting started and using features. If you invest five or 10 minutes in a few of these tutorials, you won't have a problem getting started with working in projects. Project Insight is role-based. The project manager is the primary role. The person with this role can create and modify projects. There are at least a dozen other potential roles. Of course, there's no requirement to use all the defined roles. You also have a limited ability to adjust roles by defining who communicates with whom. 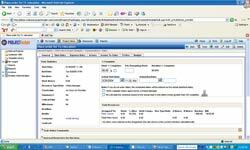 The software also incorporates workflow, with roles defined for viewing, reviewing and approving tasks; budgets, resource allocation and work done against those items. The initial screen is a dashboard of your projects and tasks due. If you're a manager with responsibilities across multiple projects, you can see all those projects in the dashboard. To create a project, select the Projects folder in the left-hand pane and fill in the project details. You can give it a project sponsor (presumably the line-of-business manager requesting or funding the effort), set the priority and require the sponsor to be notified of schedule issues, as well as a host of other options. Once you select a project, you can display information in a number of different ways. You can click on individual projects or tasks for more detail. You can mark a particular task as complete or give it a completion percentage. Project Insight's help is excellent. In addition to extensive tutorials, it gives you mouse-over cues and comprehensive explanations on just about every screen. When you perform many actions, like creating a new project, it pops up a window with tips on how to perform common activities from that point. You can import data from Microsoft Project or Excel, which lets you do initial project planning in a more ubiquitous app. Individual contributors can mark task completion and also record their hours for tracking or billing purposes. 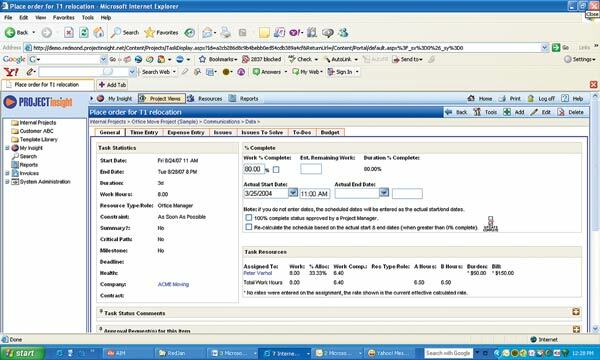 Project Insight also gives you a software development kit for building add-ons to incorporate new features or integrate with existing enterprise systems. Figure 5. Project Insight lets all project participants enter and receive detailed information on tasks and issues. When you use Project Insight, you shouldn't see any difference when you host it yourself or use it as a hosted service. You may decide to use it as a hosted service to try it out or because project work is light, and then bring it in-house once you've tested it and the need for project management increases. With a broad feature set and the ability to define and enforce a variety of roles, Project Insight provides a good step up from basic tools through its ability to bring the entire team into the project-management process. All of the products tested are useful to project managers for single or multiple projects, executives with project oversight and even individual contributors. You'll find a solution here for small, midsize and large projects, as well as those with few or many participants. The Web-based products were a little slower, but still usable for regular project management work. Anyone whose work can be defined as a series of projects can benefit from these packages.